Peppermint Essential Oil Everyday Uses You Need To Know - Eat. Lose. Gain. So, is it crazy that I’m talking about peppermint in January? I feel like we get our fill of everything peppermint during the holidays. The ball dropped in Times Square weeks ago, for goodness sake! But peppermint essential oil is something that’s amazing year-round. Peppermint is one of the most popular essential oils for a reason. It just smells like a fuzzy blanket of comfort. Personally, I love it. But peppermint’s benefits go beyond its pleasant scent. That’s why you should consider having it as part of your routine beyond the holidays. It can improve your health, the way you feel, and how you live your life. Not bad for something that comes in a little bottle. So today I’m going to talk about some of the main benefits of peppermint essential oil. And we’ll go over great ways you can use it as part of your health routine. And by the time we’re done, you’ll be stocking up to fill your home with that sweet smell year round. So let’s get started. Peppermint oil comes from the leaves of the peppermint plant. 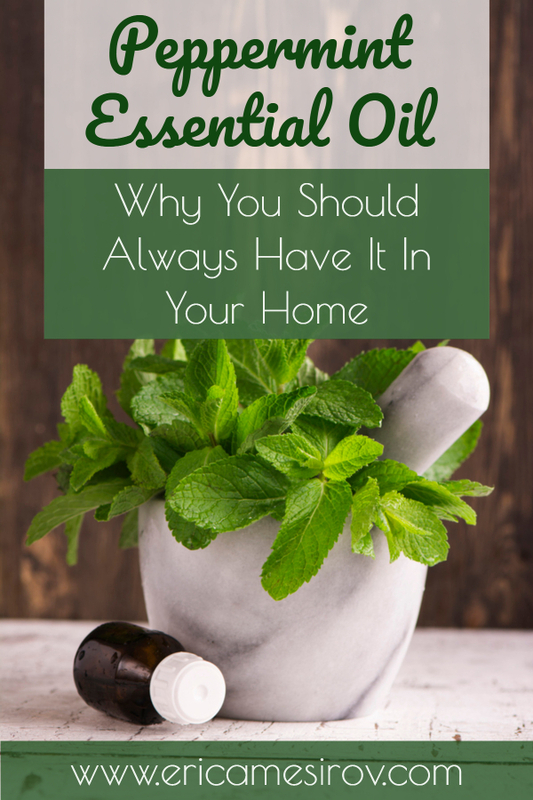 And here are some amazing everyday reasons why you’ll want to have peppermint oil in your home. There are many days when my alarm’s set for 5 am. Those mornings can leave me dragging. And that’s when peppermint essential oil can save the day. Because I’ll use it in my shower to help give me an boost. I do this by making an energizing morning shower gel. I start with a base of organic castile soap. And then I add just a little bit of water and about 10 drops of peppermint essential oil. And using this helps me feel more invigorated as I get ready for the day. It’s just the little burst of energy I need. There’s just something amazingly soothing about peppermint oil. That’s probably a reason the scent is associated with the joy of the holidays. Peppermint provides a great lift from everyday stresses as well. Since peppermint is energizing, you may not want to use it to calm yourself before bed. But it’s great otherwise to help fill your home with a sense of calm. I personally love throwing a few drops into my diffuser and taking deep breaths of the soothing smell. There’s that moment when you feel the very first twinge of a pounding head. Or maybe the world starts looking a bit blurry. And you realize you might be getting a dreaded headache. Or worse – a migraine. And then you grab some ibuprofen, hoping for the best. Fingers crossed! But there’s something else that can help reduce your head pain. And that would be peppermint essential oil. Mix a few drops with a carrier oil like coconut oil. And dab it on your temples. It can quickly help relieve some of the pounding and pain. Why do I insist on scrolling on my phone while my husband drives? I know that reading in the car gives me motion sickness. But I’m a glutton for punishment, I guess. And this is another time when I feel smart for having peppermint on-hand. 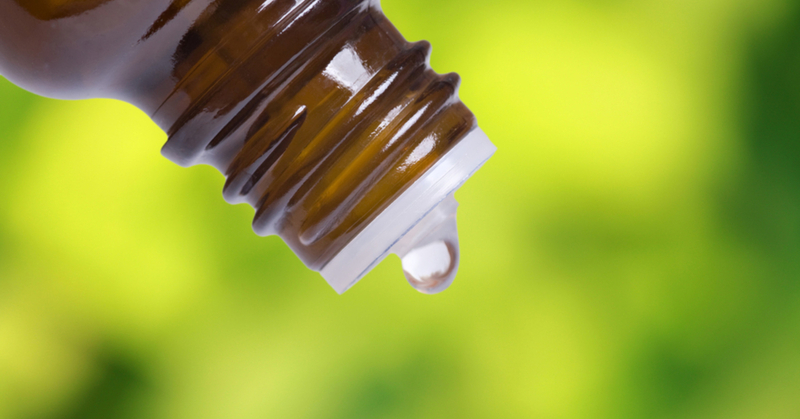 Peppermint oil is amazing for all types of digestive discomfort, including motion sickness, and general nausea. Again, mix the peppermint oil with a carrier oil. And then dab it onto your wrists. Or rub it into your hands, hold your hands over your face, and slowly inhale. I’m a member of the exercise membership Classpass. And when I get to the end of my monthly membership cycle and haven’t used all my points, I have to go on an exercise ‘binge’. And doing lots of exercise in a short time frame can lead to tight muscles and muscle spasms. That’s when I break out the peppermint oil and massage just a little bit into my tight muscles. It helps if I use some other oils like clove and rosemary too. Peppermint oil is great for all sorts of muscles, joint, and arthritis pain. And I’m always so happy I have it on-hand. Whether you have a cold, or just hay fever, you’ve probably had days when your breathing feels compromised. And this can greatly affect quality of life. We don’t appreciate our ability to take a deep breath until it stops seeming so easy. But peppermint oil can help open up the breathing passageways. I add a few drops to a carrier oil and apply it directly to my nose. Or I rub it into my chest. And the energizing qualities prevent me from dragging through my day. Win/win! And these are just a few everyday uses for peppermint oil. It’s so darn handy. And it smells amazing. So it needn’t be relegated to the the holidays. This is something you’ll be overjoyed to keep in your house year-round. Do you have a favorite way to use peppermint essential oil? Have you tried using it for its healing benefits? Let me know in the comments below! I love the smell of peppermint. There are tins of peppermint Altoids in both cars and tea in the cupboard. I didn’t know how effective the oil would be in dealing with headaches. Sounds like that’s worth a try.